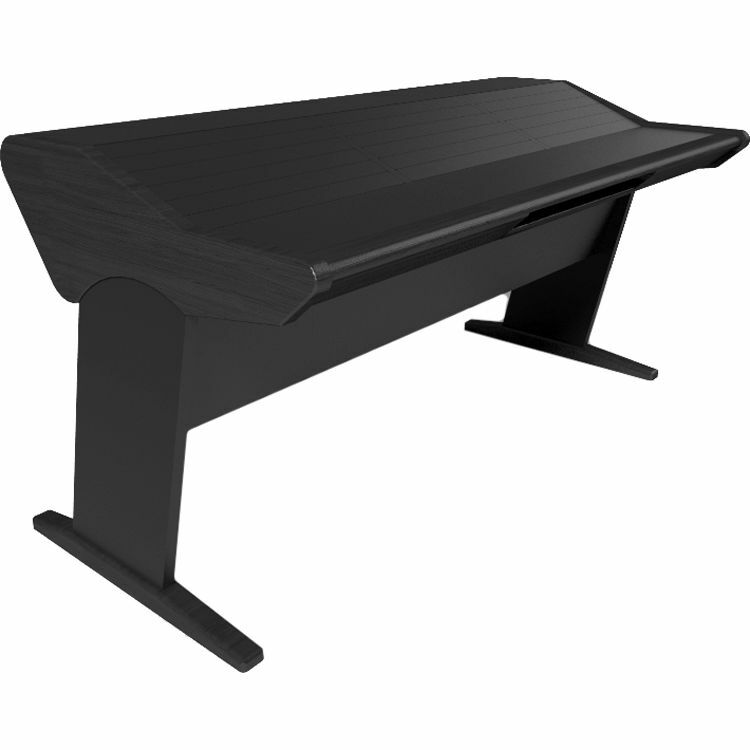 Styled in a black finish, the Zaor Onda Mack is a desk designed for mixing and mastering applications. It can house up to 18 RU worth of rackmount gear, all laid out in front of you at a low angle for easy access while you make outboard tweaks to any mix. The desk sports a roll-out drawer for your mouse and keyboard. Toward the top of the desk, there's a bridge for mounting your screens and nearfield monitors. Box Dimensions (LxWxH) 50.0 x 50.0 x 50.0"